The perfect location to experience the Costa Ballena birding hotspot in the Southern Pacific! Cristal Ballena is located in the in Costa Ballena, in the famous Osa Region of Costa Rica, in a 12 hectares reserve, adjacent to the Ballena Marine National Park, a protected area where you will find coral reefs, a sanctuary for breeding whales, dolphins, turtles, sea birds and other endangered species. This is also a great gateway to Corcovado National Park, Caño Island Biological Reserve and other local hotspots in the area. 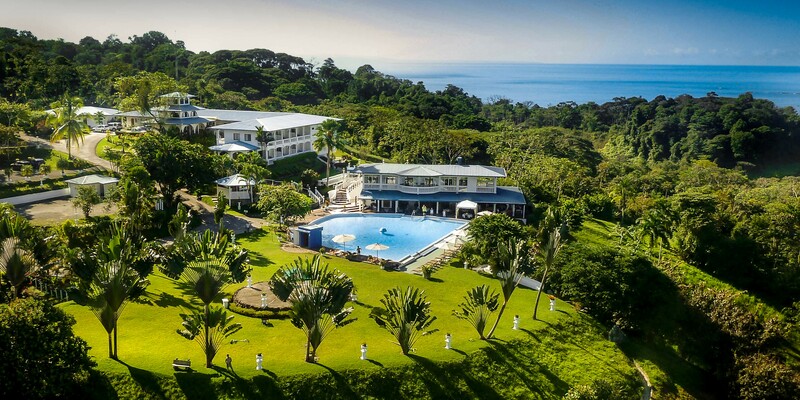 The beautiful 4-star boutique Cristal Ballena Hotel is located embedded on a hill between the Pacific Ocean and rainforest covered mountains. This unique position allows breathtaking ocean views while a cooling breeze is coming from the mountains. Explore the impressive and versatile bird and plant life in the hotel’s colorful gardens or jungle trail and the tropical rainforest near the Marino Ballena Maritime National Park. Hiking on your own or booking a bird watching tour with experienced guides provides an unforgettable experience. For many bird and nature watchers the Hotel Cristal Ballena is a popular destination with more than 250 species of birds recorded.